Lock in a great price for Looking Glass Inn – rated 8.9 by recent guests! My stay at the Looking Glass Inn was great! I selected it over others because of the location and cleanliness ratings from the site. They did not disappoint. The staff was very pleasant and helpful. I stayed in the Crimson Room, it was very spacious and relaxing. There was plenty of towels and toiletries, the shower was hot and relaxing. Breakfast was delicious there was a variety of items to choose from. You could have a hot or cold meal, tea or coffee and many other items. This was my first time staying at an Inn/B&B, I was very delighted and will consider them again. Nothing to compair to. This was a first. To me all was very nice . Staff was very nice . Morning meal was a new thing for me to try. It was very good what they offered. Great location, free parking, clean, comfortable and nicely decorated. 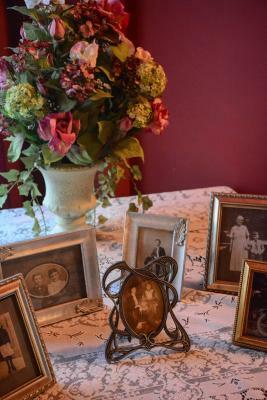 Really clean, charming B&B in a huge, well-kept old home. The managers were super friendly. The beds were comfortable and bedding was fresh and new. Very cool old classic home filled with antiques. Don't find this any more! Great location! Comfortable beds and super cute for a little weekend getaway ! Loved it! 2nd time staying here and will definitely be back! 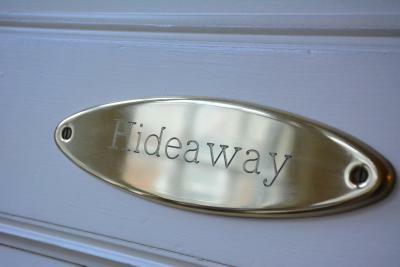 We liked the amount of space in the Hideaway Room. The house itself is beautiful with lots of architectural details that have been preserved. We were warmly welcomed by the innkeeper. Beds were comfortable and bathroom was larger than expected. Looking Glass Inn This rating is a reflection of how the property compares to the industry standard when it comes to price, facilities and services available. It's based on a self-evaluation by the property. Use this rating to help choose your stay! Built in 1905, this hotel is located in Indianapolis’ Old Northside. This historic inn is furnished with modern amenities and offers restaurant and theater reservation assistance and free Wi-Fi. Guest rooms at The Looking Glass Inn include cable TV. Select rooms feature a fireplace and a 2-person spa bath. The Looking Glass offers a movie collection for guests’ use. Free drinks and snacks are available in the pantry. Guests can arrange a massage with the hotel’s on-call massage therapists. Indiana University-Purdue University at Indianapolis is 2.4 miles from the Looking Glass Hotel. Downtown Indianapolis is 1.6 miles away. This property also has one of the top-rated locations in Indianapolis! Guests are happier about it compared to other properties in the area. When would you like to stay at Looking Glass Inn? A majestic room deecorated in rich reds and golds, this room features beautiful empire-style antiques. Queen-sized bed & tub and shower. A romantic setting, decorated in deep rose tones and Victorian-era antiques, the spacious Rose Room includes a decorative tiled fireplace . A favorite with newlyweds and anniversary couples. King-size bed or 2 twin beds & a 2 person Jacuzzi tub and shower. Spacious and comfortable this room is 900 square feet of living space, the Hideaway suite (once the ballroom) is the entire third floor of the Inn. King-size bed or 4 twins, kitchen and bath w/claw foot tub & shower. Charming, hidden gem! Boasting of plenty of natural light this bright second floor spacious corner room features a tile floored private bath, two large windows providing cheerful ambiance, a beautiful antique oak dresser and bed, making for a very comfortable setting for your stay in Indy. 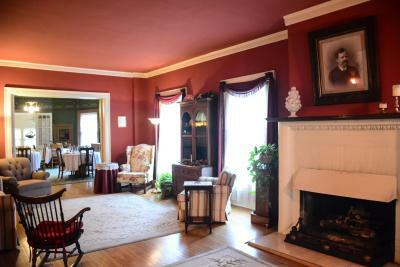 This charming room is decorated with Victorian-style antiques and turn of the century portraits. Conveniently located on the 1st floor. Queen-size bed & bath with claw-foot tub & shower. Dramatic luxury and decorated in deep blues and crisp whites, this room features Empire-style antiques and beautiful floral bouquets with Willow ware china decorating the walls. Built in 1905, The Looking Glass Inn is located in the heart of the city’s Old Northside; an area that was home to the principal leaders of Indianapolis during the turn of the twentieth century. It was Elizabeth Gates, wife of a wholesale grocery merchant, who erected this Free Classic style mansion while living here until 1907. The Inn boasts 7 fabulous guestrooms all with private baths. A complimentary Butler's Pantry stocked with snacks and beverages is offered with every room as well as breakfast daily. The Looking Glass Inn opened its doors in February 1999 after the Life family purchased, fully renovated and tastefully redecorated the home. House Rules Looking Glass Inn takes special requests – add in the next step! Looking Glass Inn accepts these cards and reserves the right to temporarily hold an amount prior to arrival. Need a safe key locked drop box . Not a bowl when the key is 200 dollars if you lose it or it is not in the bowl after you leave . Slow drain in the bathroom sink but not a big deal. Shower head could be updated. My only criticism is they have a huge selection at breakfast but not enough people eating it, so some of the items like the juice and cereal were old. They should have just a few choices and it will allow them to ensure their freshness. It took a while to get hot water up to the attic room where we stayed and the bathroom could use updating but it was very clean. The claw bathtub needed resurfaced, including the faucets. The pillows were a little hard, needed more choices. Innkeeper was accommodating and personal. Old-fashioned house in a quiet area. Friendly staff.Comfy bed. Parking in the lot out back is confusing and there are few spaces. We parked out front on the street. The Hideaway Room, while large, is very dark. There are only a few tiny little windows down near the floor. In addition, the only escape in case of fire is a rope ladder that must be affixed to the windows, which are so small that I'm not positive an adult could fit through them. Breakfast was extremely confusing. We showed up both mornings to find all the tables either occupied or covered in dirty dishes. Unless you knock on the kitchen door, no one comes to clear the plates or bring you food. This meant we waited quite a while to feed our two 18 year old boys.